ATLANTA (WXIA) -- Caryn Liss was excited when her store, Modern Tribe, moved to the corner of Piedmont and Auburn avenues. That program gave grants to more than a dozen businesses -- including three of them opening in one building at the same streetcar stop. Eighteen months later, those three are moving out. “What percentage of your customers came off of the Streetcar?” asked 11Alive’s Matt Pearl. ATLANTA – Developers hope to drop an infamous name from Atlanta’s lexicon. 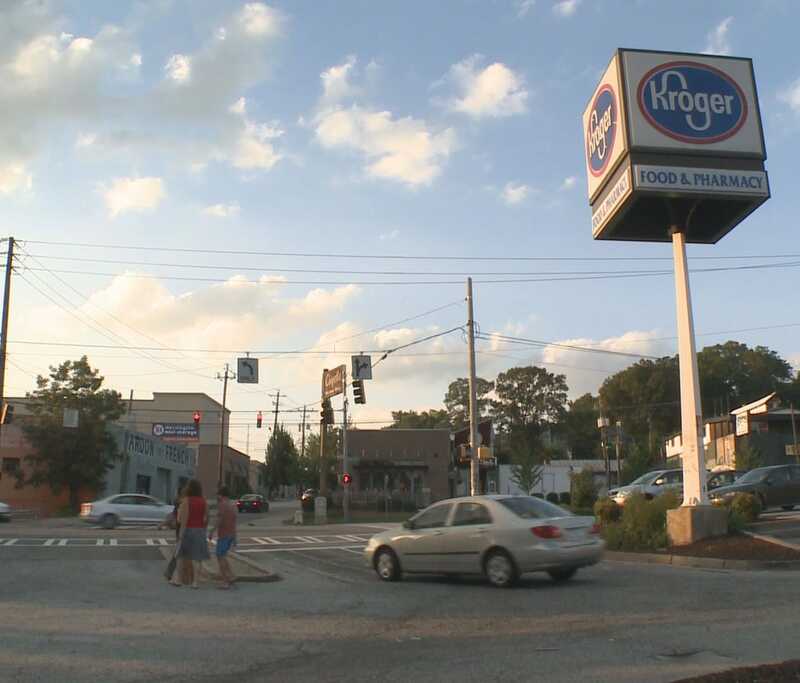 For years, the grocery store on Ponce de Leon Avenue has been called by some “Murder Kroger.” It’s been the subject of a website, Facebook page and even has a song dedicated to it. ATLANTA – For the second time in less than two months, thieves have struck a Ponce City Market store. Security officers spotted several men running away from the Ponce Denim Company early Thursday. The window had been smashed with a cinder block and several pairs of high-end blue jeans were taken. The men got away in two cars, a white Chevy Cobalt and a white Toyota Scion. Both headed toward Monroe Drive. A citywide lookout has been issued for both vehicles. The store has been robbed in less than a month. The store was hit by another smash-and-grab crew early last month. In that instance, a group of men also used bricks to bust the windows. ATLANTA -- A resolution could be announced soon in the long-standing dispute between Atlanta Public Schools and the city of Atlanta over how to fund the Beltline. Atlanta's city attorney released a statement saying they are cautiously optimistic that settlement will be reached soon, and that the $9 million payment demonstrates a commitment to finalizing a resolution as quickly as possible. The two sides had been at an impasse for years over how much money the city owes the school system. Earlier this year, the district said the city owed it nearly $14 million from property tax money generated within the Atlanta Beltline project area. Back in 2005, APS agreed to give up some of its property tax dollars and the city promised to make annual payments to the school district to offset the loss. ATLANTA -- For more than 50 years, Mt. Zion Second Baptist Church has stood at the corner of Boulevard and Irwin Street in the Old Fourth Ward. The church feeds the homeless and invites the community to worship. But Deacon James Q. Jackson wasn't doing any of those things Friday. Instead he was cleaning up. "When we got here we discovered someone had broken into the lower part of the church," said Jackson. The suspect smashed the glass doors in the lower part of the church. As soon as the alarm went off, he fled through the front door. Nothing was stolen, but the damage was left behind. Our cameras were there as APD crime techs surveyed the scene. Later, church leaders cleaned up. ATLANTA -- A Halloween tradition continues in Atlanta's historic Oakland Cemetery. 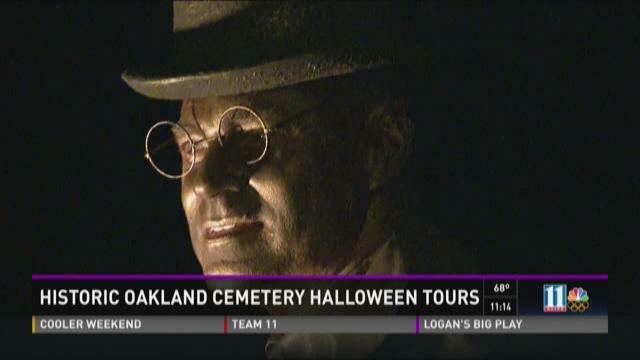 The Spirit of Oakland tours started on Friday evening. The event showcases the cemetery's Victorian gardens as guides tell tales of Atlanta's past.